How Can We Learn From Others About What Works In Policy And Practice? Fifteen years into devolution there has been strikingly little in the way of thoughtful exchange on social policy and practice between the four countries within the UK. High-quality evidence tends to stay within narrow policy silos and within countries and regions. Research carried out in partnership with the Joseph Rowntree Foundation explores whether there is demand for better evidence sharing across the UK and, if there is, to consider how we might best go about responding and stimulating further demand. Many express a great deal of interest in learning more about social policy evidence from other parts of the UK (as well as further afield), as long as it is sifted for quality and relevance, is timely and of practical use. There is a significant gap between the trustworthiness of academic research (which is very high) and its accessibility, with many who responded unable to access academic evidence. The internet dominates searches for evidence but social media is catching up. 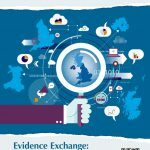 More information on our work on the Evidence Exchange is available on the Evidence Exchange project page.